We found these in a neighbors backyard among the weeds (grasses, amaranth, and dandelions). They were monsters around 10 - 12 inches in diameter. They were already large enough to see the green color of the gills. This mushroom is sometimes confused with the Shaggy Parasol which is Edible. Always be careful when collecting Lepiota rachodes as this mushroom is very poisonous. 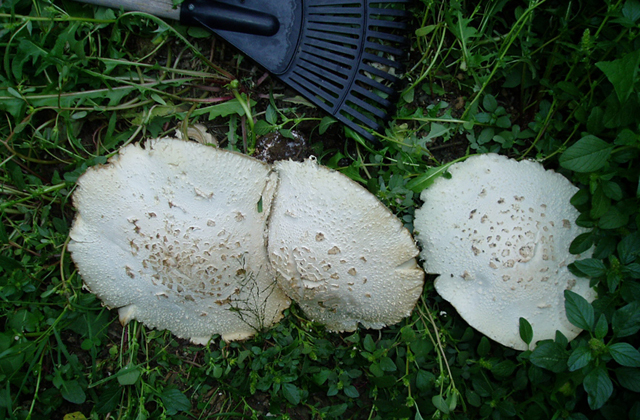 Be sure if your identification and avoid this green spored lepiota.